Welcome to American Pacific Mortgage – Wenatchee! Hi…My name is Janice L. Brown, NMLS #147704, your local Greater Wenatchee Valley Loan Originator for American Pacific Mortgage. My career in the mortgage industry started in 1998 after graduating from Central Washington University. I’ve been with American Pacific Mortgage since 2008 and we are one of the largest regional independent Mortgage Bankers in the Western United States. We were founded in 1996 for one simple reason: to help people finance their homes while securing remarkable loans at competitive rates and terms. We can fund almost any home loan. Whether you are first time home buyer, purchasing your dream home, vacation home, investment property, refinancing an outstanding loan, or consolidating debt, I can help you through the home loan process. My ultimate goal is to create lasting relationships with each of my clients by saving them time and making the loan process as streamlined as possible. 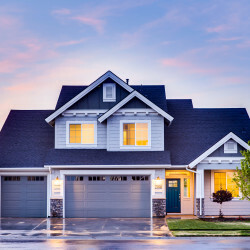 Although we are located in Wenatchee, Washington, we offer unparalleled mortgage and refinance service to clients throughout the entire State of Washington! Whether you are 1 month or 3 years out Call Janice today at (509) 888-6700 and let’s get YOU started! Ready to get the process started? Click on the red “Apply Now” button on the top right hand corner of this page, click through the 1’s and fill out the application. Then I will contact you.